I’ve been focusing my entries on a photographic tour of my hometown of Boston, Massachusetts that I took with PhotoWalks in order to challenge my ability to make more compelling images. Strolling through Beacon Hill, the Federal-style architecture is really striking. Last fall, I made some images there but found them a bit bland. Saba, our guide, found ways to make them more interesting. In the shot of the gold-domed State House, we used foliage to frame the shot a bit. In many of our images, we used angles that captured the gas lamps in the shots in creative ways. On Joy Street, she suggested tilting the camera a bit to make it more interesting. Then, she also saw a truck with a black hood and thought to use this as a mirror to shoot the reflections of the buildings. We also looked for buildings that had unique features, such as Number 24 Pinkney Street in which no two windows are the same. Lesson learned: Don’t shoot architecture only straight on or from a 45 degree side angle. Use other angles, tilt your camera, or shoot low and up on some shots. Try framing or using interesting reflections. Crop the cars out of your shots. Incorporate interesting details, like the gas lamps or flags. Be creative. For those of you planning to visit Boston and are interested in going out with PhotoWalks, please go to http://www.photowalks.com. 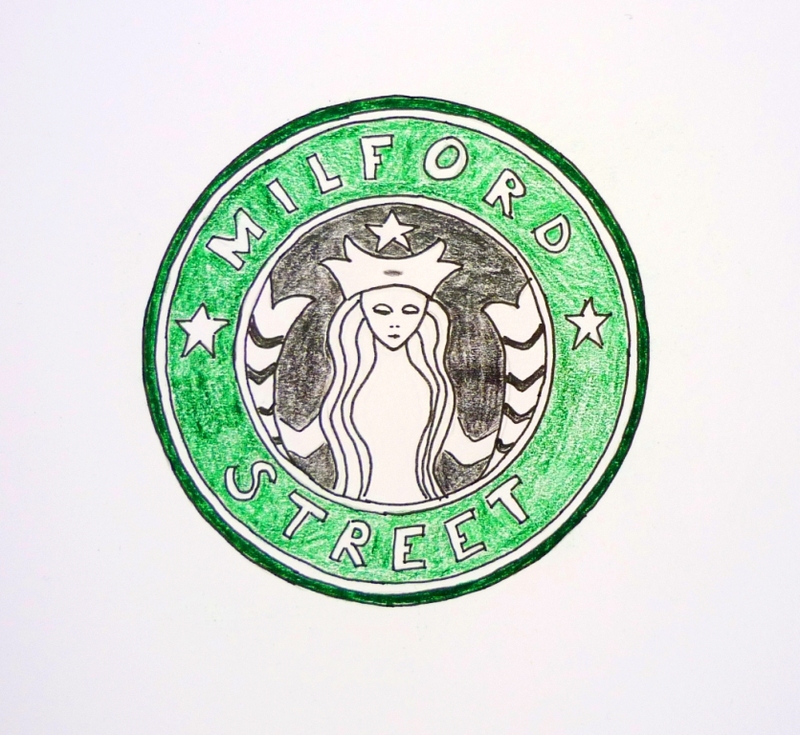 This entry was posted in massachusetts, photography and tagged architecture, beacon hill, boston on June 30, 2015 by milfordstreet. As I said yesterday, I went on a photographic tour of my hometown of Boston, Ma with PhotoWalks to challenge my ability to make more compelling images. As we strolled through Beacon Hill, Saba, our guide, seemed to know or be willing to talk to anyone there. As we passed by one apartment under construction, the door to the alley was open. She poked her head inside and began chatting up the workmen. She asked about what they were working on and how the buildings were laid out and such. And then she asked if we could have a peak in the courtyard. They let us come up to the space behind the buildings on Beacon Hill. You can see in the image how they are all connected and linked. The lines and angles made a wonderful image. Lesson learned: Talk to people and be curious while making images. 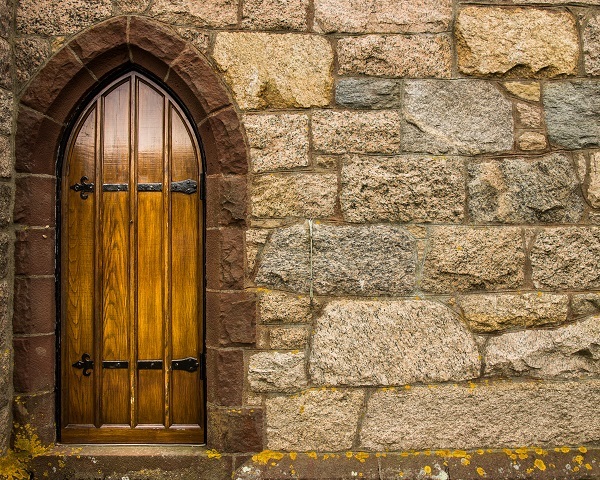 It can literally open doors for your photography. 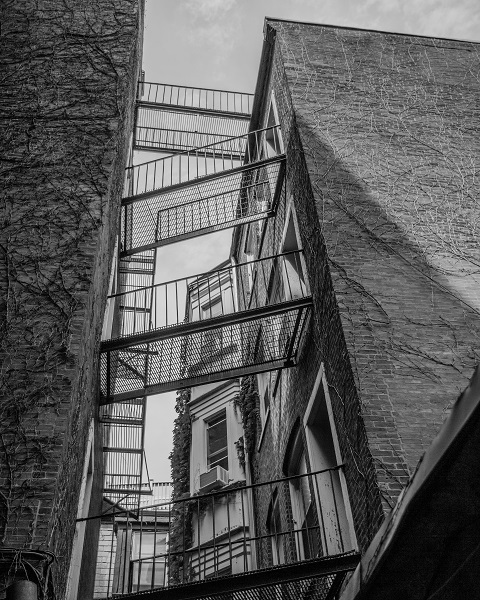 This entry was posted in b&w, massachusetts and tagged beacon hill, boston, fire escape on June 29, 2015 by milfordstreet. Part of being a photographer, whether amateur or professional, is learning to see; to be able look at the same thing that everyone else looks at and find a way to make a compelling image. Having spent most of my life in the Boston area and feeling like I know most of it well, I decided to book a tour with PhotoWalks in order to both assess and challenge my ability to see. I wondered whether they could show me shots that I’d not considered in my previous travels. Some of the areas we went to were well known to me and others were less familiar. Over the next week or show, I’ll show you images from the tour and discuss my experience. 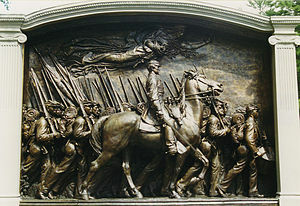 I met Saba, the founder of PhotoWalks at the Memorial to Robert Gould Shaw and the Massachusetts Fifty-Fourth Regiment . I’ve walked by this sculpture dozens of times and have even previously photographed it. But Saba has been doing this for thirteen years. She encouraged us to get away from showing the whole and focus on the sections and even the small details, like the drum. Here are six of the images I made; some with suggestions from Saba. As a reference, I’ve included below a complete photo of the sculpture. Photo credit: Wikipedia. Lesson learned: For large complex scenes, there can be value in looking at parts and using unique perspectives rather than trying to show the whole. This entry was posted in massachusetts, photography and tagged boston, memorial, photowalk, shaw on June 28, 2015 by milfordstreet. This is the last set of images from the trip to Cape Cod. On our last day, we rode our bikes one of our favorite rides and ended at Cape Cad National Seashore. It is a very special place. We had a picnic at the top of the dunes and then I walked down to make a few images with the Lumix camera that comes with me on bike rides. 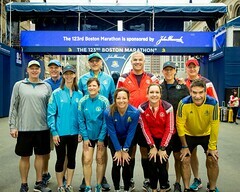 Starting tomorrow….let’s go to Boston, where I challenged myself to see things differently. This entry was posted in b&w, massachusetts, photography and tagged beach, cape cod, dune, sand on June 27, 2015 by milfordstreet. I was trying to make a photo of the Make Way for Ducklings sculpture in the Boston Public Gardens when this girl wandered into the frame. There was time to get off one quick shot before her brother joined her and the magic was lost. 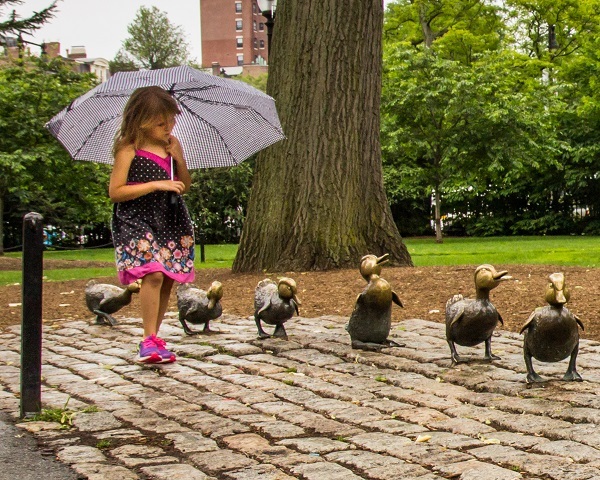 This entry was posted in massachusetts and tagged boston public garden, ducklings, girl, umbrella on June 26, 2015 by milfordstreet. This image required a 4:00 AM wake up to drive the 30 minutes from my parent’s home to this beach. The sun did not join me as I’d hoped but it was still a nice morning and a nice image. Recently, I bought a variable neutral density filter. I used that and a 30 second exposure time to smooth the water and capture the bridge’s reflection. 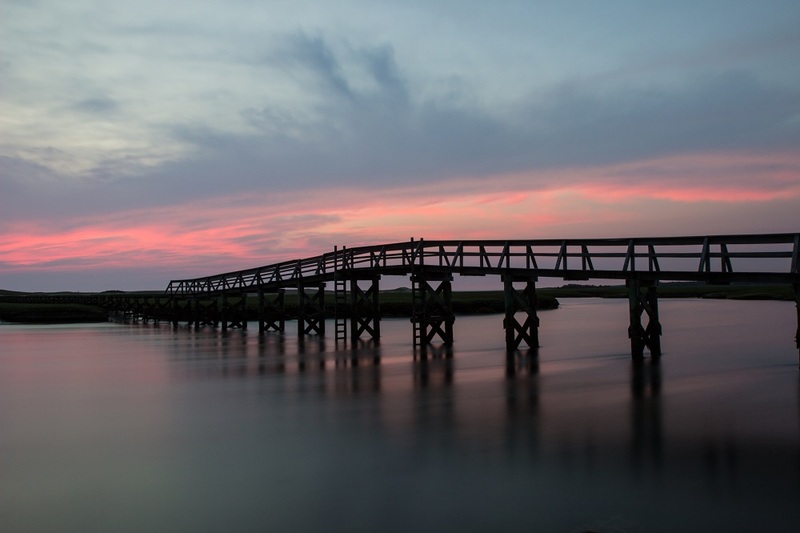 This entry was posted in massachusetts, photography and tagged beach, boardwalk, sandwich, sunrise on June 25, 2015 by milfordstreet.